Bengaluru: Students of the two-year Post Graduate Programme in Management (PGP) at the Indian Institute of Management Bangalore (IIMB) will organize their annual business summit – Vista 2017, from 22nd to 24th September 2017, on campus. There will be over 30 events and five workshops this year. Vista 2017 has aligned itself with the powerful idea of creative disruptions happening in the world of business and beyond. 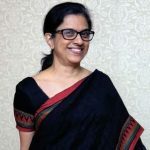 “The cycle of destruction and creation of something new to replace the old order, is the tenet the world of business operates by, and firms continuously compete to develop designs that disrupt the old,” said Priyanka Yalamanchili, Secretary, Forum for Industrial Interaction (FII) at IIMB and one of the key organizers of the summit. Conceptualized and organized by the PGP student-members of the Forum for Industrial Interaction (FII), Vista 2017 has a slew of events across various business domains. Some key events include the Young Leaders’ Summit – a three-day immersive learning experience at IIM Bangalore, Trojan Horse – a strategy-based case competition, MarkGuru – a marketing case competition, and Milestone – an operations case competition. #Digibites tests the contestants’ digital marketing prowess while Sparsh is an event where participants work to provide solutions to challenges faced by NGOs. This year, Vista will collaborate with the Akshaya Patra Foundation to shine the spotlight on the subject of nutrition and food security. In partnership with The Global Education & Leadership Foundation (tGELF), Vista 2017 will host the LIFE challenge – a 36-hour hackathon. The Corporate Conclave, a panel discussion, will feature leading business minds like K B S Anand (MD & CEO, Asian Paints), Rahul Narayan (Founder, TeamIndus) and Dr. Raman Venkatesh (CEO, Technology and Corporate Development, Eureka Forbes). The summit will also host speaker sessions by Capt. Raghu Raman (Group President – Risk, Security and New Ventures – RIL), Arun Maira (Thought Leader, Former Chairman – BCG India and Former Member – National Planning Commission), Ashish Vidyarthi (National Award Winning Actor, Thinker, Speaker and Founder – Avid Miner), Poonam Mahajan (Member of Parliament – Lok Sabha), Shiv Khera (Founder – Qualified Learning Systems USA, Business Consultant, Author), Sagarika Ghose (Journalist, News Anchor, Author), and Jessica Lynn (President – Your True Gender).